Women's Softball and Women's Volleyball compete in the NAIA Division I American Conference. Accreditation: The Higher Learning Commission (HLC) is an independent corporation that was founded in 1895 as one of six regional institutional accreditors in the United States. HLC accredits degree-granting post-secondary educational institutions in the North Central region. Ranked #1 in Missouri and #47 in the U.S. in granting degrees in Mathematics and Statistics to African-Americans. Additionally, Harris-Stowe is ranked #47 in the nation in graduating African-Americans in the field of Education. Recognized by U.S. News and World Report as 1 of the top 10 public schools in the country where in-state students paid the least for the 2016-2017 school year. Ranked 28 among the 2016 top Historically Black Colleges & Universities (HBCUs). Received a $5 million Louis Stokes Alliance for Minority Participation Grant (LSAMP) from the National Science Foundation. 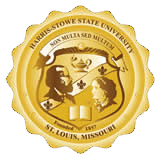 This grant is the largest received in the history of Harris-Stowe. 1 of 44 institutions selected nationally for the 3-year “Re-imagine the First Year of College (RFY) Project” awarded by the American Association of State Colleges and Universities (AASCU) and funded by the Bill & Melinda Gates Foundation.